Drug addiction is a hard thing to overcome, especially when you are young and the influence is strong. Although the addiction can start in a sneaky way, without us being aware of it, it can last for a long time without us being able to control it. Once we are addicted we can't look back, we have to find a way to rehabilitate ourselves and start over. In a way, it's good because we get a fresh start. In order to start the rehabilitation, getting rid of all substance is a necessity. We will need a family member or a friend to throw out every trace of drug substance away. After the drug substance is out of reach, we will need to start admitting that we have an addiction by talking about it in different sessions with our family and/or friends. By talking about our addiction, we let the bad memories and the neediness of the substance leave with our words. Also, a trick is to find a passion that you can take over, to get your mind off of smoking, sniffing, or drinking. In summary, an addiction is a passion towards drug use. The best way to overcome it, is to talk about it, get rid of it, and then find a different passion. You can do it! The awareness of drug addiction is currently on the rise as more people begin to realize the consequences that addictive habits have had on their lives. However, the private nature of an addiction can make it challenging to come clean with your loved ones. While you may be nervous about your initial confession, it is important to know that this is the first step toward getting help. If you are planning to tell your loved ones about your addiction, then here are several tips for making sure that your conversation is a success. Although it can be tempting to just blurt out that you have a problem, it is best to select a time when your loved ones will be open to communication. After a long work day, during an argument or other challenging times will generally lead to only more confusion. Instead, you may inform your loved ones that you have an important thing to discuss, and then select a time that will work best for you to talk about the reason for your online counseling sessions. Talking about your LDS addiction recovery sessions is best accomplished within a private setting where your loved one will be comfortable having whatever reaction may occur. This can be done within your own home, in an outdoor setting or even in a counseling office. Ideally, the setting for your conversation should be one where your loved one will feel comfortable reacting to your confession while also offering enough time to cover any of their questions. When you decide to talk to your loved ones about your addiction, you can expect for them to ask about how you are getting help. This is especially true for people who are most affected by your addiction such as your partner. By explaining that you are currently getting help through LDS addiction recovery, you will be able to reassure your loved one that you are committed to seeking help for your addictive habits. As you begin to open up to your loved ones about your drug addiction, you will also be building a support network that can be beneficial. Talk to your loved ones about your online counseling program and how it is helping you stay on the right path toward recovery. It is also important to ask for support from your family members by planning activities that will keep you away from the bad companies as well as maintaining an open line of communication that can serve as a safety net for times when you feel tempted to indulge in your addiction. 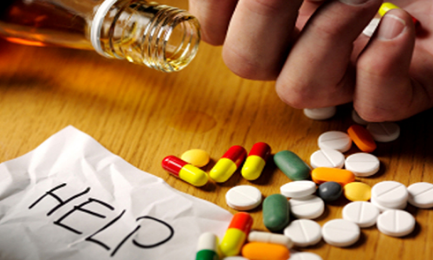 Houston sober living is an effective solution that helps in solving your addiction problems. Check out more about them at their site and get the benefits they offer.